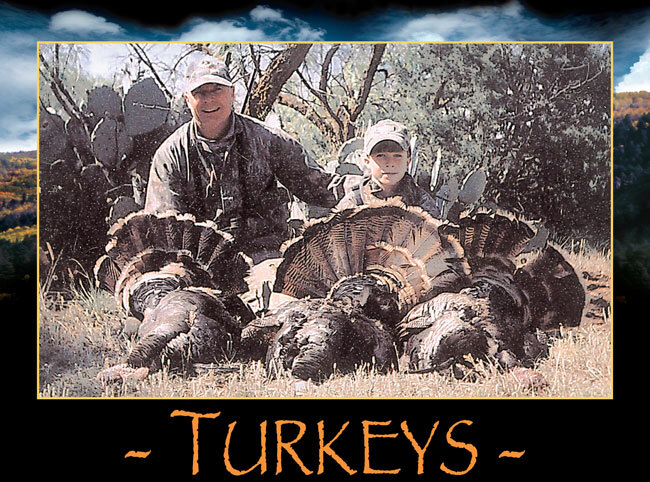 Rio Brazos Outfitters offers Spring Turkey hunts on big ranches that have only been hunted for a year or so, and as a result there are lots of wild turkeys. These are Rio Grande Gobblers and they are truly grand birds. We recommend tight shooting shotguns with number six or number four shot. Join us for a Springtime hunt you will cherish for the rest of your life.